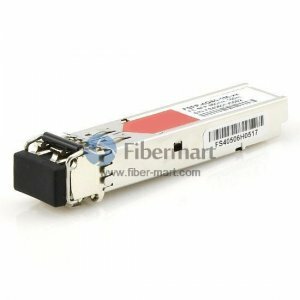 Fibre Channel SFP is a kind of SFP transceiver module designed for 2.125Gbps or 4.25Gbps Fibre Channel standards. It is also compatible with Gigabit Ethernet standards. There are two types of Fibre Channel SFP transceiver modules which operate data rates at 2.125 Gbit/s or 4.25 Gbit/s. Fiber-Mart manufactures and supplies both types with Customized Service. In addition, we also provide Compatible Fibre Channel SFP transceivers which can be alternatives to those branded by Cisco, HP, Juniper etc. All our Fibre Channel SFP transceiver modules come with a lifetime advance replacement warranty and are 100% functionally tested.